"An entire experience beyond a traditional facial." 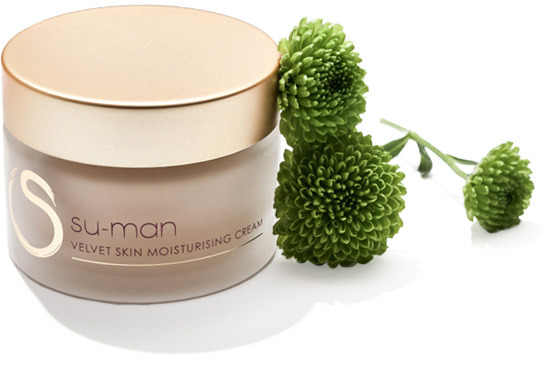 "SU-MAN RANGE GIVES YOUR SKIN A NEW SENSE OF LIFE"
"I have never gotten so many compliments on my skin as I have since seeing this magician of a facialist." Former dancer and creative force behind the origination of her own formulations culminating in her own skincare line, founder Su-Man is a leading celebrity facialist-turned-skin care pioneer and the woman behind countless women’s seemingly ageless beauty. Su-Man has sourced some of the most powerful active ingredients from the Asian and Western worlds in the formulation of her products. Combining a deep knowledge of natural essences from her original homemade remedies with innovative new advances from her chemists in France and Taiwan, Su-Man’s range gives you the very best in facial expertise, skin wisdom and science for skin that looks and feels reborn.